The Eduardo Secci Gallery is pleased to announce the inauguration of the solo exhibit by Paolo Grassino, curated by Láránd Hegyi, which take place on September 7th 2018 starting at 6 PM at the exhibition space in Piazza Goldoni 2, Florence, Italy. The Gallery’s spaces will host three exceptional pieces, two of which are site-specific and unprecedented; each characterized by a different yet recurring subject in the themes explored by Grassino: insects, man and animals, all linked together by the common thread of cruelty and the condition of existence. Our first room will host the installation To seduce insects, realized using electric and iron wires. 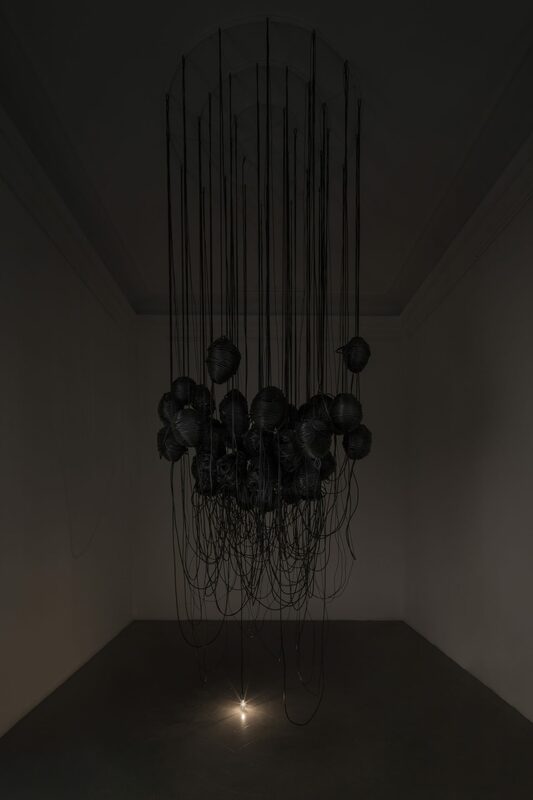 In this unprecedented, site-specific installation, the work’s brutal dynamism is transferred by means of an unorganized entanglement of iron wires, knotted in a central nucleus consisting of dark cocoons where insects dwell, which, attracted by the light of a lamp, are inevitably condemned to death. The installation is a metaphor for current society, poised between precariousness and indifference. The second room will feature Series Zero, where man is the protagonist, represented as a shell emptied of his identity and body. The emptiness, however, contains a metamorphosis, a renewal manifested through a ramification that unravels in space towards the viewer. It seems as if Grassino wants to interpret The Metamorphosis by Ovid in a contemporary key, and, in particular, the myth of Daphne, the nymph who transforms into laurel to escape Apollo. Turmoil is the title attributed to the third room’s installation (which will also be presented in an unprecedented and original form), a piece that takes us back to one of the recurring themes by Paolo Grassino: just as in Analgesia, the subject of the representation is a pack of black dogs. The dog, man’s companion, has lost its senses and is represented without ears, without a tail and with no distinctive traits, going back to a larval and primitive state, where instinct prevails over reason. For many years, Paolo Grassino has focused his efforts on highlighting, exploring and spreading the poetic messages included within the imaginary, evocative and connotative layers of his three-dimensional expressions, without any compromise. 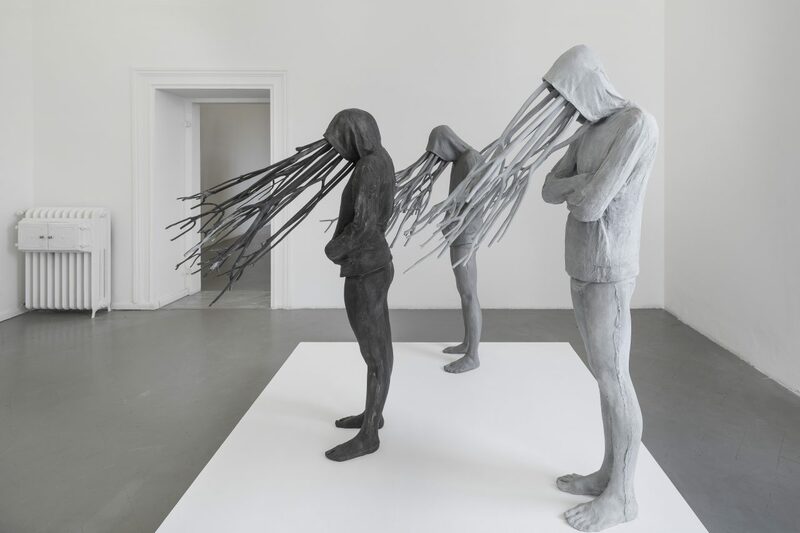 Moreover, the perception of these sculptural creations, with their dramaturgic arrangement, suggests an imaginary and cryptic narration, extremely dense, at times somber, which deeply moves the spectator. This narration, which is magical, enchanted, enigmatic, pathetic-dramatic, and yet also intriguing and disconcerting, with fairytale-like hues, appears before us in a sudden, surprising, intense, irresistible and natural way, as well as unsettling, unexplainable and mysterious. This way of becoming sensual and concrete, immediately perceptible, holds an inexplicable secret, as the internal forces that move figures, by either relating or opposing them, remain hidden and invisible. The reflection on human condition is one of the concepts that inspire his works, and it’s also the key factor in instilling a dialogue between the artwork and the spectator. 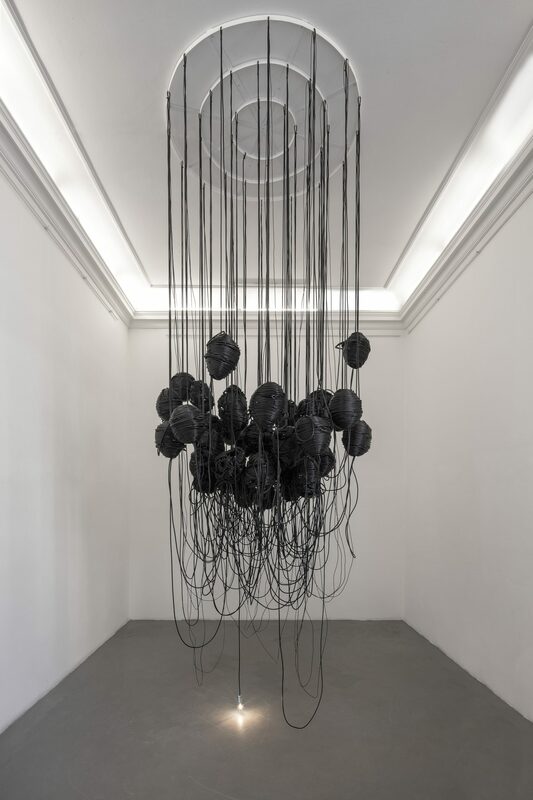 The suggestion and the emotional charge communicated by his works are due to their dramatic and disconcerting size, which induce the spectator to relate with the sculpture in order to understand its intensity and take on a show full of sorrow. The impact with the work, in fact, triggers multiple sensations, leading to the creation of a narrative theme with dramatic, gloomy, moving and wild notes, which encounter the most intimate self of the observer. Therefore, the observer interacts with a mysterious, puzzling, bizarre, external and unexplainable instance, which includes a dense entanglement, carrying a strong emotional component and rich with relations, so much so that the entire tangible scene, with its strong and almost monumental physicality, as well as its heightened materiality, dynamism, sensuality and iron-clad expressivity, appears as something known, almost natural, something that comes from our interiority. The combination of these sculptural groups carries an atmosphere that is excessive, psychedelic, alongside a reality that is magical, enchanted, incredible, but also shows itself as an existing, tangible and immediate truth. This ambiguity fills Paolo Grassino’s work with a poetic vagueness, an uncertainty, which, in turn, produces a destabilizing insecurity and evokes something invisible, intangible, mystical, which we cannot remove, as it’s rooted deep inside us. Paolo Grassino, born in Turin in 1967, where he currently lives and works. Recent solo exhibits include: Paolo Grassino & Luigi Mainolfi, Casa Fiat de Cultura, Belo Horizonte, Brazil; Analgesia, Museum of Contemporary Art, Castle of Rivara, Turin; Magazzinoscuro, MAC | Museum of Contemporary Art, Lissone, Milan (2015); Ciò che resta, curated by Daniele Capra, Marco Meneguzzo, Eduardo Secci Contemporary, Florence (2014); Percorso in tre atti, Pecci Museum, Milan (2013); La oscuridad en la luz, IIC|Italian Institute of Culture, Palacio de Abrantes, Madrid (2013); Atmosphere, Paolo Grassino and Pierluigi Pusole, Foundation 107, Turin (2012); 2000… 201, Castle of Rivalta, Turin (2010); Contaminazioni, Pinacoteca Albertina, Turin (2010). Recent group exhibits include: SPSI Art Museum, Shanghai curated by IGAV (2015); Arti alle corti, Palazzo Cisterna, Turin (2015); 1985-2015, Museum of Italian Art, Center of contemporary art, Castle ofi Rivara, Turin (2015); Icastica, Arezzo (2015); Il collasso dell’entropia, MAC|Museum of Cnotemporary Art, Lissone, Milan (2014); Il giardino segreto, curated by Lia De Venere, Svevo Castle, Bari (2013); Nelle terre di Piero. 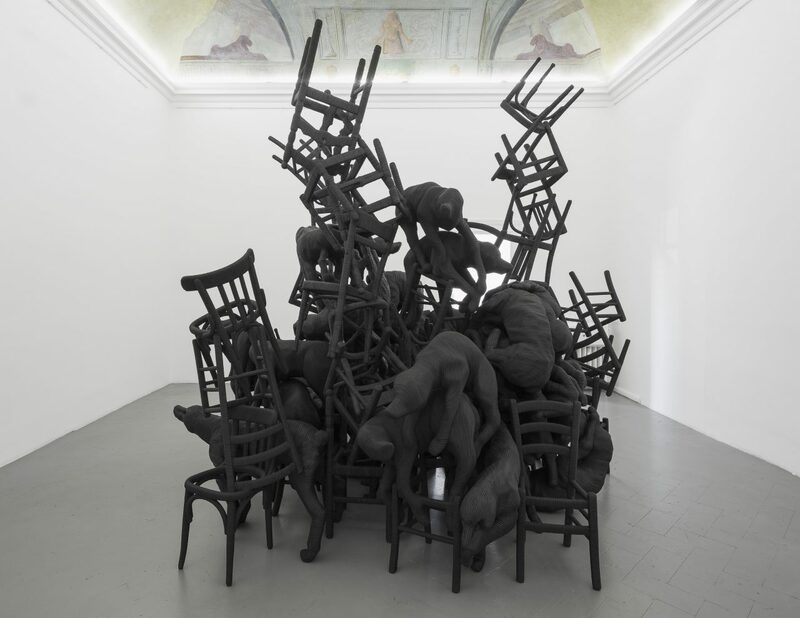 Omaggio a Manzoni, Palazzo Barbò, Torre Pallavicina, Bergamo (2012); Rewriting worlds, 4th Moscow Biennale of Contemporary Art, Moscow (2011). 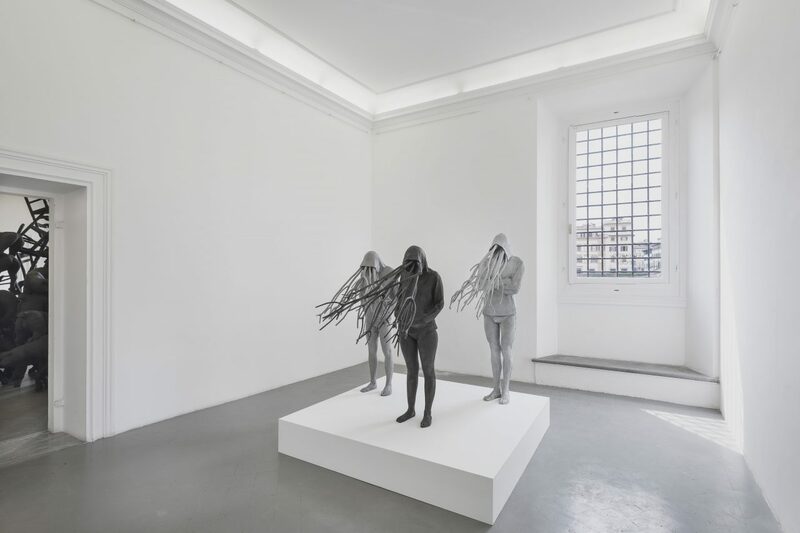 Paolo Grassino, Installation view at Eduardo Secci Contemporary, Florence, 2018. Courtesy the artist and Eduardo Secci. Courtesy the artist and Eduardo Secci Contemporary.